We Brits do love an afternoon tea don't we? I for one seem to have toured the country surviving on miniature sandwiches, cakes and beautiful patisserie. 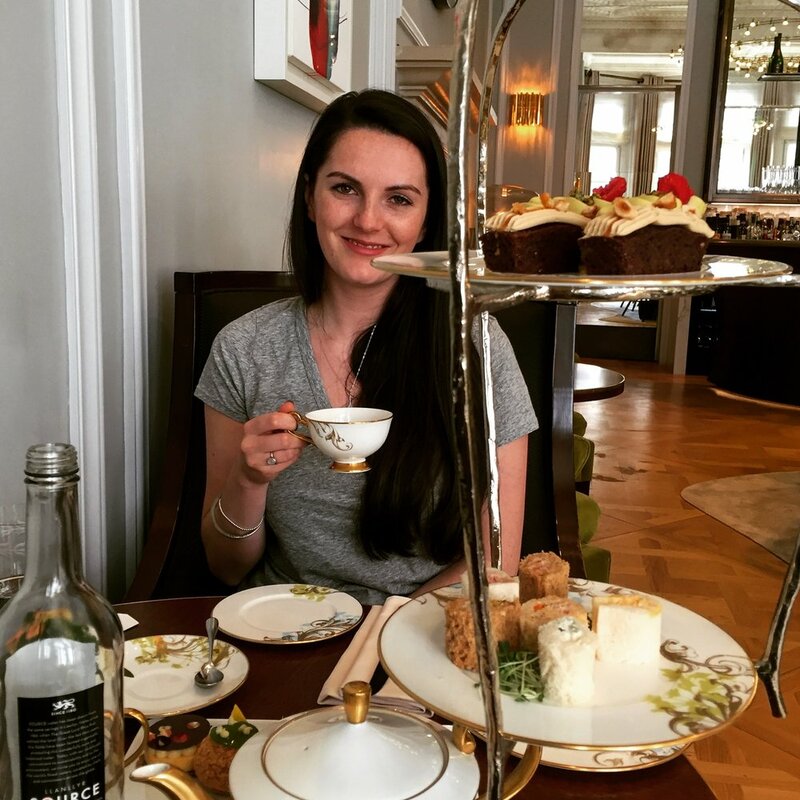 Some of the best afternoon tea's I've had have been in London. Being from Glasgow, London is just a short flight away, and I find myself with the itch to go a few times a year. The city has so many amazing afternoon tea experiences to offer; from a Mad Hatters Tea Party to a Hello Kitty pop up. But my favourite? It has to be at the Mandarin Oriental Hotel at Hyde Park. The hotel itself is amazing, and we were led through to the Rosebery Lounge, a bright, sunny and comfortable room full of what looked like branches. On closer inspection, it turned out that afternoon tea is served hanging from a golden looking tree. Amazing right? The waiter took our order (vegetarian option for me) and informed us that the sandwiches were unlimited. I literally thought we were going to be there for the day stuffing our faces, but you'd be surprised how full you get from just a few finger sandwiches (and a lot of cake). Also, the amount of tea you could choose between was incredible. The presentation was beautiful. From the cake stand I described to the finesse of the patisserie, I felt as though I was having an extremely French experience in the heart of London. All of the food was delicious (apart from an accidental incident when I had to spit out a sandwich with goat's cheese...how can people eat that stuff! Not my most ladylike moment). I was so sad to leave, and returned later that night for a few drinks at the bar. The lychee martinis at any Mandarin Oriental are killer. I can't wait for more foodie experiences with these hotels...maybe dinner next time! If you want to check out the Rosebery Lounge, you can do so here. Where are your favourite places for afternoon tea? Trying to look ladylike with my dainty teacup!